Description: Larches are conifers in the genus Larix, in the family Pinaceae. They are native to much of the cooler temperate northern hemisphere, on lowlands in the far north, and high on mountains further south. 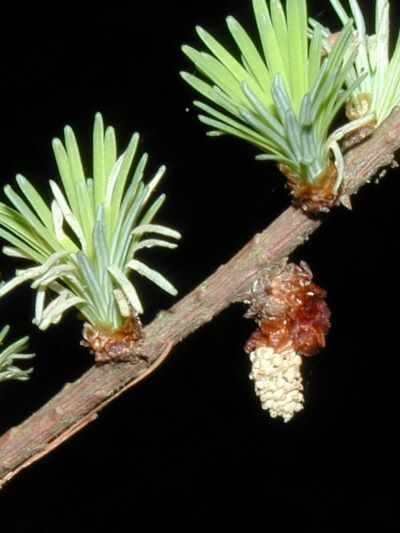 Larches are among the dominant plants in the immense boreal forests of Russia and Canada. Larch can reach a height of 100 feet. They prefer the edge of woods and hills. The bark is coarse. The male yellow and the female red blossoms are to be found on the same tree. They open from the end of March to April - as soon as the green needles appear.